A woman in Cornwall, Ont., left an Enterprise rental shop with one car — and returned two weeks later with another. When Const. Tommy MacKay got the call that a woman had tried to return a stolen car to an Ontario rental car company, he knew he wasn't dealing with a normal case. "My initial thought was, 'I'm going to have to find out where she got this vehicle from, or my God, how am I going to put cuffs on this elderly female,'" the Cornwall Community Police Service officer told As It Happens guest host Rosemary Barton. The saga began in late June when a woman rented a black Nissan Sentra from Enterprise Rent-A-Car company in Cornwall, Ont., about an hour west of Montreal. After renting the car, MacKay said the woman drove three or four minutes to the local Walmart where she did some grocery shopping. "Shortly thereafter she exited, walked over to the area where she had parked her vehicle, saw a shiny black vehicle, hopped in it and drove away," he said. 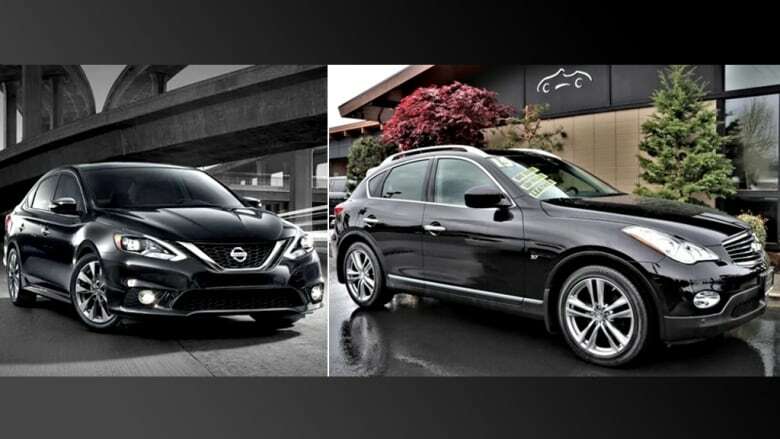 It turns out the car that she thought was her rental vehicle was actually a 2015 black Infiniti QX50, a hatchback — not the sedan she had originally rented. 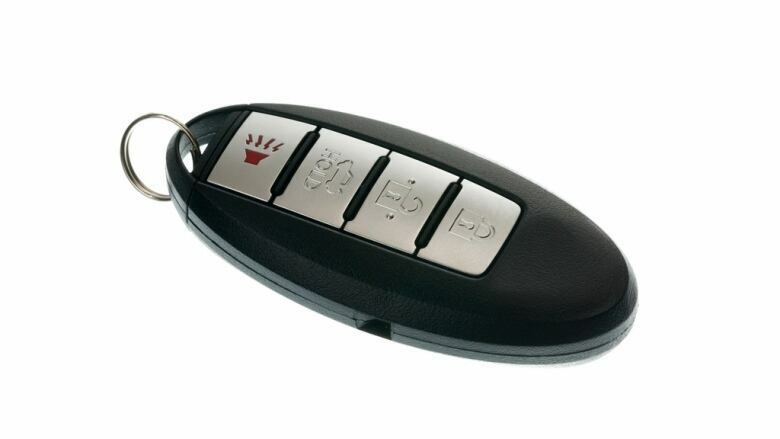 Both cars use a key fob, which doesn't require a key to start the car. The owner of the stolen Infiniti, an elderly man, had accidently left his key fob in the vehicle. "She drove around and did her daily business in this stolen vehicle for two weeks," MacKay said. It was the manager at the car rental company who finally pieced together what had happened. The man whose car was stolen came into the same Enterprise to rent a car after realizing his car was no longer in the Walmart parking lot. "In conversation with the manager of that establishment it came out that he was the owner of a black Infiniti that was recently stolen," MacKay said. Two weeks later, when the woman tried to return that very same vehicle, the manager clued in. At first, he tried to tell her that the company didn't even rent that model — but she was having none of it. "She was upset because the ashtray was dirty, there were papers in the glove box, and there were golf clubs in the back. And she was giving the manager the business on renting her a dirty vehicle," MacKay said. None of this tipped her off, until the manager drove with her over to the Walmart parking lot where the Nissan she had rented was still parked. That's when the manager called the police. In a Facebook post the Cornwall Community Police Service wrote: "PLEASE DO NOT LEAVE YOUR KEY FOBS IN YOUR VEHICLE WHEN NOT BEING OPERATED, YOU NEVER KNOW WHO MIGHT TAKE IT!" MacKay said the woman — who won't face any charges — was a "bit embarrassed" but shrugged it off, and the man whose car was stolen "had a good chuckle." Written by Sarah Jackson. Produced by Jeanne Armstrong.